On Monday morning, Tel Aviv solar energy company Apollo Power Ltd. said it completed a successful attempt to harness its surplus solar energy to power crypto-mining machines. By that days’ market close, its stock was up 38%, adding around $4 million (NIS 14 million) to its market capitalization. In its announcement, Apollo Power said it was able to use solar energy to power Ethereum mining, adding it had filed for a patent in the U.S. for a modular solar system containing a built-in crypto mining component. Following a request for clarification from the Israeli securities authority, the company submitted a second announcement around 3 p.m., explaining it had conducted the experiment three days earlier, and that in 30 minutes it was able to mine 0.00054 Ethereum coins, equivalent to 4 cents given the exchange rates at the time. It further said that at this rate the combined servers and solar power could potentially mine Ethereum coins worth $130 a year, based on the virtual coin’s value at the time of the filing. The company did not offer information about the current or future cost of such a system, or of expected wear and tear costs. Apollo Power concluded the second report by stating that their solar system’s current capacity does not enable it to mine bitcoins. On Tuesday, Apollo Power’s stock went down nearly 32%. The company’s market cap, which increased from $10.7 million (NIS 37.8 million) to $14.8 million (NIS 52 million) the day before, had gone back down to $10 million (NIS 35.6 million). Apollo Power is one of four Tel Aviv-listed companies who’ve reported plans to start operating in businesses related to cryptocurrency or blockchain technology recently. These companies added approximately $200 million (NIS 700 million) to their combined value in the past month. The stock of Tel Aviv-listed Natural Resource Holdings Ltd. shot up around 4,000% in the last two months, after the shelf company said in October it is considering a pivot to cryptocurrency. In early December, Natural Resources reported talks to buy Canadian crypto-mining company Backbone Holdings Solutions Ltd. Its stock shot up 160% that same day. Earlier this week, Natural Resources announced it had been renamed Blockchain Mining Ltd.
On Sunday, digital marketing company Apply Advanced Mobile Technologies Ltd. announced its intention to establish a blockchain and cryptocurrency venture. The announcement sent Apply's stock up 252% by market close. Last week, Tel Aviv-based Fantasy Network Ltd. announced it had hired a blockchain advisor, sending its stock up 44% by market close. The next day, the stock was up an additional 80%. In response to the unusual trading seen on the Tel Aviv Stock exchange in cryptocurrency-related stocks, the announced last week that the authority will not allow companies whose value is dependent on bitcoin to be included on the Exchange’s indices. Mr. Hauser further added that the authority may consider blocking such companies from trade altogether until a regulatory framework is put in place. Officials from the authority approached several Israel-based mutual fund managers the same week to warn them against investing in bitcoin futures, according to a person familiar with the matter who spoke on condition of anonymity. Mr. Hauser’s announcement caused the stocks of two of the bitcoin-related companies traded on the exchange, Natural Resource and Fantasy Network, to fall by 54.35% and 28.26%, respectively, the same day. Both companies resumed an upwards trend the next day. 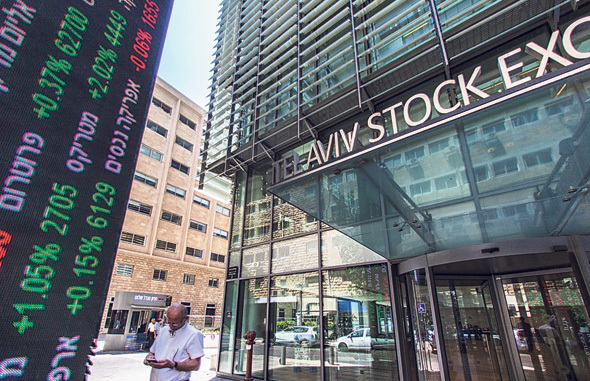 Apollo Power first listed on the Tel Aviv Stock Exchange in early November by merging with a shelf company and has been trading with a market capitalization of around $11.7 million (NIS 41 million) until this week. In a presentation to investors filed earlier this month, the company presented a business plan related to off-grid solar power solutions. The presentation made no mention of mining cryptocurrencies. 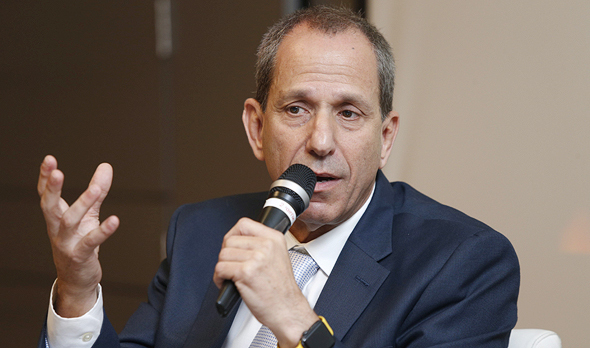 In an interview with Calcalist Apollo Power’s CEO Oded Rozenberg said the system could also be useful in developing countries, where it can be harnessed as a source of energy. Energy surpluses, he said, could be used to mine crypto-coins. Mr. Rozenberg further said the company has not yet decided on a business model for the venture. Another Israel-based public company, On Track Innovations Ltd., reported Monday that it is developing a system for the use of crypto-coins on its digital payment platform. In response, the Nasdaq-listed stock went up by 171% by market close.